The view of Earth from space has been captivating astronauts and cosmonauts since Yuri Gagarin exclaimed "I see Earth! It is so beautiful!" on his trailblazing flight in 1961. Since then millions of photographs have been sent back from orbit, capturing the magnificence of our home planet. Now, for the first time in history, it can be your turn to focus the camera back at Earth. 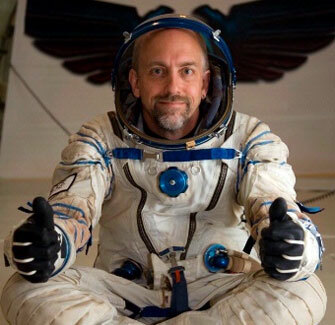 In October 2008, Richard Garriott, son of U.S. astronaut Owen Garriott, will launch to the International Space Station on a week-long mission to conduct science experiments developed in partnership with his father and to test new Earth observation software that can help identify and take photos of targets as they enter and pass through the field of view of Earth-facing windows. In collaboration with collectSPACE, the leading online resource for space history enthusiasts, and to benefit the Association of Space Explorers, a non-profit organization of over 300 flown astronauts and cosmonauts from 32 nations, Richard invites you to pick your place on Earth to photograph from space to present to you. Richard Garriott wants to take your photo. As the next private explorer to fly and the son of a veteran Skylab and shuttle astronaut, Richard knows the appeal of seeing a familiar place — your hometown or your favorite landmark — from the high vantage of space. To share this privilege with others, he has volunteered to dedicate some of his time on the space station to targeting his camera at a limited number of Earth locations chosen by his fans and spaceflight enthusiasts. 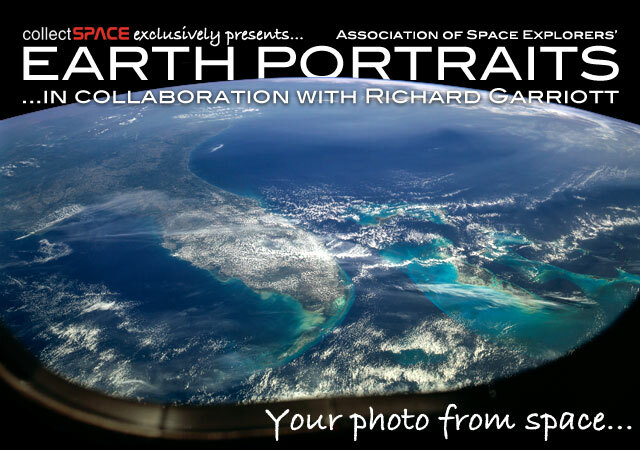 The Association of Space Explorers' Earth Portraits offers you the opportunity to choose your own photo to be taken from space and receive it post-flight inscribed as you desire by Richard Garriott! 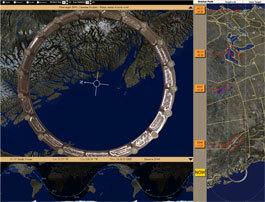 For more information about Windows on Earth or to demo the software, see this website. Though Richard will spend several hours each day photographing the Earth, he is only able to reserve 200 targets for this first of its kind opportunity. Further, due to his training and preparation schedule, all reservations for Earth Portraits must be received by no later than May 26. Proceeds from the Earth Portraits project will support ASE's educational and environmental programs, as well as further development of the Windows on Earth software and Richard's on-orbit scientific and educational activities. The opportunity to specify a set of coordinates (longitude and latitude) for Richard Garriott to target for photographing during his stay on the International Space Station. It is expected that lighting conditions for Richard's flight will favor photography of the Northern Hemisphere. His timeline and activities have been designed to maximize opportunities for photography of the continental United States and southern Canada. While you may select any area of the planet between 53 degrees North and South latitudes, we encourage you to select a target in North America to maximize the chance that he will successfully capture your requested location. Further, it is likely that the majority of photographs taken for this program will be with a Nikon D3 digital camera with a 250 mm lens. 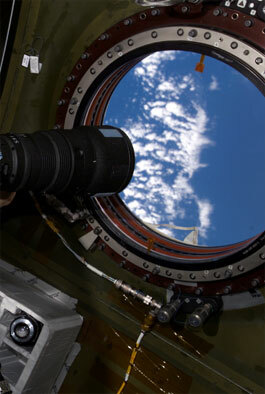 Although under the best conditions astronauts have captured features down to 8 meters in size with this lens, it is anticipated that your photo will display an area about 30 by 45 km at the nadir (straight down) view with a ground resolution of about 30 meters. Most photographs will be taken near the nadir, although the particular orbital parameters in October may dictate a more oblique perspective. If, as a result of weather conditions, orbital parameters or other reasons, your photograph is not taken, ASE will substitute it with another image taken by Richard of your choice (excluding others' Earth Portrait photographs). Bonus raffle! For each Earth Portrait ordered, the recipient will be entered in a raffle to win a highly desirable collectible flown by Richard to the ISS! With a maximum of 200 Earth Portraits available, your chances of winning are one in 200 or better (actual chances of winning depends on number of portraits ordered). Your photo from space awaits. Order your Earth Portrait from the Association of Space Explorers by filling out the form below and submitting your payment of $225 per Earth Portrait package. Due to the nature of this program, barring a cancellation of Richard's flight, all orders are non-refundable. Complete and submit the following information to begin your order. Richard Garriott will autograph each Earth Portrait. You may request an addition inscription of a length of up to 10 words. ASE and/or Richard Garriott reserves the right to refuse an inscription if deemed inappropriate. Clicking submit will take you to a PayPal payment page. Each ASE Earth Portrait is $225 (US). You may also pay by calling ASE at +1 (281) 280-8172.